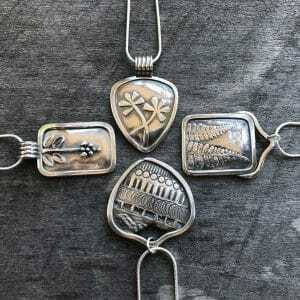 Learn how to make beautiful pure silver jewelry using metal clay. This material is easy to work with, so no prior experience is necessary. Students will be introduced to the properties of Metal Clay and the basics of how to form, fire and finish fine silver jewelry. Students will leave the workshop with a minimum of 3 finished pieces of jewelry. Metal clay is a revolutionary medium that challenges age-old thinking of how precious metals should be worked. It is a water-based material that consists of microscopic particles of silver, gold, or base metals (copper and bronze) suspended in a non-toxic, organic binder, making a putty-like mix that can be formed with hands and small tools in an endless variety of ways: pinch, extrude, join, roll or mold. There is actually no ceramic content (clay) in the material at all. Anything that can be done with clay can be done with metal clay. The piece is then dried and fired in a kiln to 1650 degrees. The firing burns out the organic binder and water, leaving a pure metal piece. In the case of silver it becomes “fine” silver. Fine silver is 99.9% silver, while Sterling silver is an alloy of 92.5% silver and 7.5% copper. After firing, the piece can be hammered, soldered, oxidized and/or polished as can be done with any other metal object. Students will be provided with a simple tool kit, a detailed handout and a 25 gram package of Silver clay to work with during the class, which is enough to complete 3 small projects. Additional clay may be purchased on the day of class. The price of the clay varies, depending on the silver market, but usually runs around $60.00 per package. They will also be provided with jump rings for pendants and French wires for earrings. All tools and equipment necessary for completing the projects will be provided by the instructor for use during the class. The first day we will learn about the properties of Metal Clay and form and dry our pieces. The instructor will fire them over night. The second day involves patina and polishing to complete the jewelry. Zoe Nelson has more than 25 years’ experience making many styles of jewelry. Before working with metal clay she did intricate beadwork and traditional metal forging. 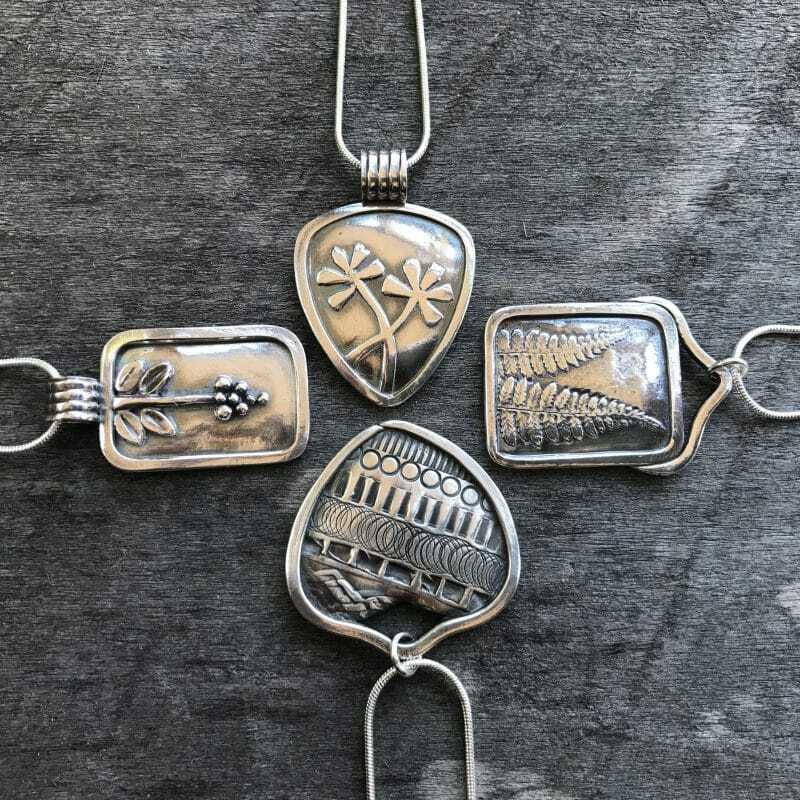 She found her passion for working with metal clay after taking an introductory class and receiving a grant from her local Arts Council to buy the equipment necessary for her own studio. Shortly after, she completed her Master Certification in Metal Clay. She participates in several juried craft shows and is featured in the book Hand Crafted in the Blue Ridge. She is a member of the PMC Guild and the Etsy Metal Clay Team. She teaches metal clay classes through Appalachian State University’s Craft Enrichment Program and in her home studio. 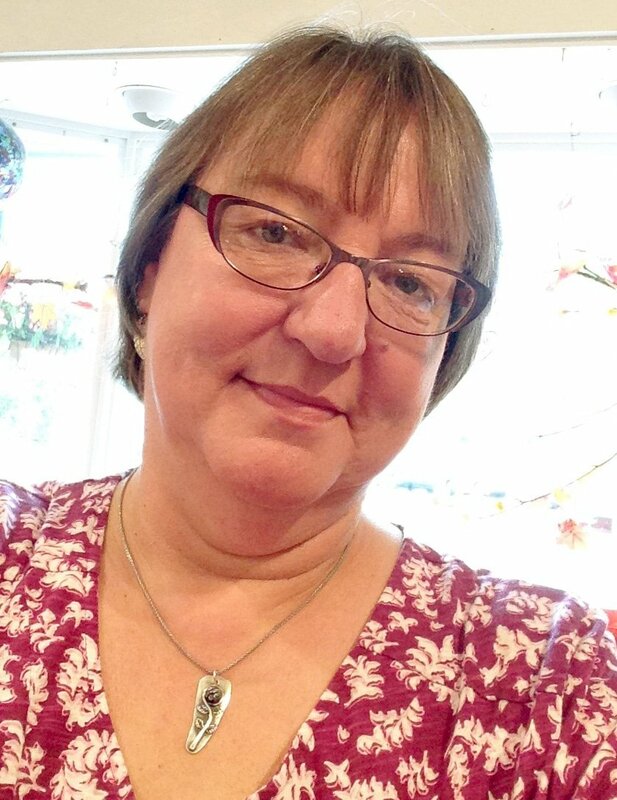 She is a member of two local craft cooperative galleries and her work can be found in several shops in the Southeast. Zoe is fortunate enough to live and work in the beautiful Blue Ridge Mountains of western North Carolina.